LED office ceiling lights could make a genuine difference to your place of work! At Root3 Lighting Ltd, we always anticipate satisfying the ever-changing needs of our clients who require commercial LED lighting systems for new and existing office buildings. We provide a diverse range of commercial LED lighting solutions in multiple colour temperatures to suit a variety of office settings and ambience. From IOT-powered (Internet of Things) LED lights to DALI dimming controls, we deliver on your vision to have the ultimate in office lighting, no matter how large or small the project. The majority of the LED fittings for office are manufactured in UK allowing us to produce bespoke lighting to fit your individual needs. We offer very low production runs on bespoke led lighting fixtures enabling our clients to benefit tailored lighting solutions at a greatly reduced cost. SAS 120, SAS150, Burgess, concealed grid ceiling are all typical office ceiling systems that our competitors cannot offer a solution for as their products are supplied from the Far East with no bespoke lighting solution available to them, but is something Root3 offer on a daily basis. Why Opt For LED Lighting In Office Environments? Flexibility, efficiency, and uncompromising quality are the hallmarks of Root3 LED office lighting solutions. LED lighting can not only help you save significant energy costs but also provide glare-free illumination which supports a fatigue-free and more productive office environment. 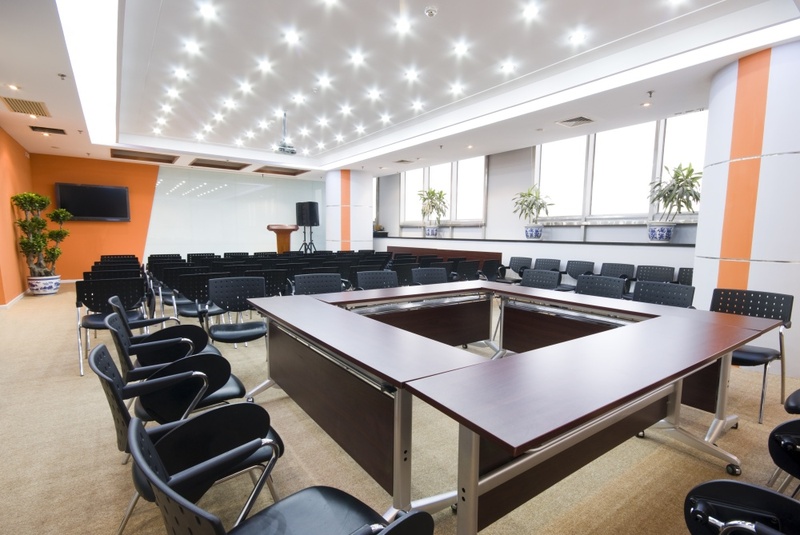 As activities and operations around your workplace change, LED office lighting conditions can rapidly change to accommodate any occasion – for instance, a unique setting for an announcement or one which specifically sets the tone for a presentation. You might even have LED office ceiling lights modified for more productive workstation-based work or one that caters to reading, checking, and scrutinising documents. Appearances are just as important – features such as LED roof lights for office environments not only instil positive vibes in your walk-in customers but also provide for a very pleasant and modern setting, which in turn promotes a more positive working atmosphere. Recent studies have documented the fact that offices properly lit by LED lights can promote staff wellbeing as well as performance. 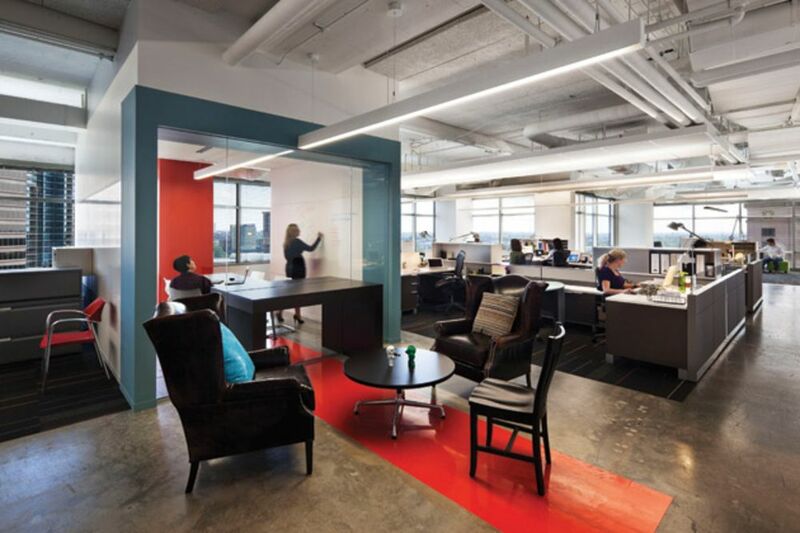 Office environments today continue to shift from a traditional working one to a more customer-facing one. Dimly or otherwise poorly lit offices that are not aesthetically appealing are no longer an option; well-lit offices using the latest technology to promote your products/services are the way to move forward. More and more companies in the UK today continue to swap out their outdated fluorescent lights with LED counterparts, and with good reason: typical energy savings to be had can be as high as 70% while maintenance overheads can be cut down to more than 70%. And, by incorporating the right lighting and dimming controls, you can save even more. Our LED office lighting solutions include a wide range of luminaries which are suitable for a variety of office setups, including traditional and more high-end setups. All our office LED lights are flicker and glare-free, and light up the environment instantly. Many reports have concluded that office employees complain of glare from lights and eyestrain, leading to headaches and undue stress. This can be dramatically reduced by LED office ceiling light fixtures. Studies have confirmed that employees can perform better under certain lighting conditions. This can be encouraged through ‘smart’ LED lighting and controlling Lux levels. Smart LED office ceiling lights are currently the closest alternative to natural sunlight, thereby increasing mood, vitality, energy levels and the motivation to work. When it comes to setting standards, maximising energy efficiency, increasing wellbeing levels of your workers and reducing over operating overheads, there really is no better office LED lighting solution than Root3’s. Staff wellbeing is something the employers are really taking seriously. So many studies showing that reduced staff wellbeing in the workplace has a serious effect on productivity both directly in the volume of work produced and in-directly in the quality of work produced. In the modern workplace, staff spend the majority of their waking days in the office, so it’s absolute common sense to make that time as positive as possible. One very simple solution that is offered by Root3 is our LED Sky panels. Our panels can be installed into a standard ceiling grid or a bespoke solution can be found. They are perfect for areas where no natural daylight is available. Bespoke high definition are can be placed into the LED panels either with a generic Sky or flower image or indeed an image of anything a client requests. If you have staff that work in an area where no natural daylight is present, we highly recommend that you consider our LED Sky panels as very effective solution in improving wellbeing in the workplace. Speak to us today on 01493 669574 or see more details about your options for LED office ceiling lights on our website at https://www.rt3group.co.uk.